Our culture is a vital part of our success. 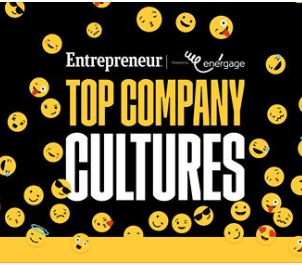 We are proud to announce that Private Ocean was recently ranked on Entrepreneur’s Top Company Cultures list, a comprehensive ranking of U.S.-based businesses exhibiting high-performance cultures created in partnership with employee engagement platform and service provider Energage. The Top Company Cultures list has placed Private Ocean as #48 in the Small Company category. Private Ocean is recognized for creating an exceptional culture that drives employee engagement, exceeds employee expectations and directly impacts company success. To be considered for the ranking, the companies must have had at least 35 employees, have been founded before Jan. 1, 2016, must be founder led (at least 10% ownership of the company),and be headquartered in the U.S. There was no cost to participate in the survey. Individual employee responses were anonymous. To view Private Ocean in the full ranking, visit entm.ag/TopCultures.